HOUSTON — The days of the dial-a-rocket may be numbered. Launch companies that once offered many variants of an individual vehicle to match the specific needs of payloads are now moving to a smaller number of standardized designs, trading off optimization for cost savings. United Launch Alliance had offered dozens of different potential combinations of its Atlas and Delta vehicles, featuring different payload fairings, upper stages and varying numbers of solid-fuel strap-on boosters depending on the size of the payload and the desired orbit. The Atlas 5 in particular offered enough different combinations that some dubbed it the “dial-a-rocket” when it was introduced more than 15 years ago. ULA, though, has been working to narrow down those options. As recently as two years ago the company had 41 different configurations among the Atlas 5, Delta 4 and the now-retired Delta 2, said Tory Bruno, chief executive and president of ULA, in a speech Nov. 28 at SpaceCom Expo here. “We have been simplifying that over time,” he said, with the number now reduced to 18. That large number of variants creates complexities in the supply chains for the vehicles. “Every time we drive a change through the system, we had to test everything,” said Tiphaine Louradour, president of ULA’s ULS Global Commercial Sales unit, during a separate panel discussion at the conference. 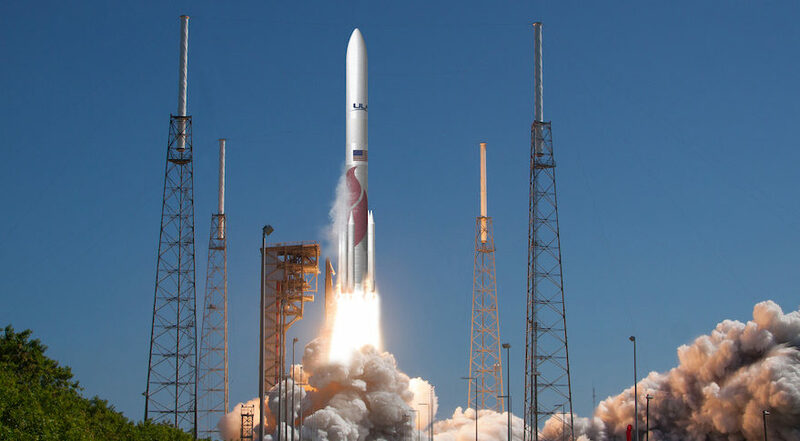 ULA plans to continue that reduction in design options with the Vulcan Centaur now under development, with a first launch in 2021. Louradour said the company will initially offer two payload fairings of differing lengths and options for zero, two, four or six strap-on boosters. Bruno said that the company will eventually end up with “something in the neighborhood of four” versions of Vulcan Centaur. “That means it is much more efficient to build these vehicles. It is faster to launch to launch them. It is much more affordable to accomplish that mission,” Bruno said. New Glenn, he said, is designed with “significant performance margin” for a set of reference missions for government customers. That means the vehicle will, for many missions, have excess capacity that might be put to other uses. “We plan to fly half-empty, if you will, a lot, but that excess capacity allows us to do interesting things as well,” he said, not specifying what those “interesting things” could be.